Thank you for your interest in Woo Endodontics. We are specialist members of the American Association of Endodontists. We look forward to being of service to you. By referring you to our office, your dentist has shown his or her concern that you receive the finest endodontic care possible. Our goal is to provide unsurpassed quality in a compassionate environment of professionalism and clinical excellence. We hope that the information provided here answers many of your questions about endodontic treatment. If you would like additional information, please don't hesitate to contact us at 770-213-1726. 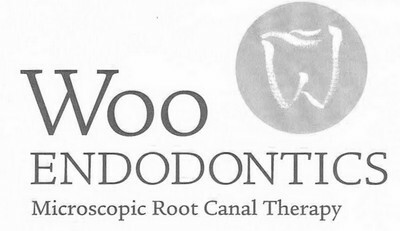 I genuinely never leave reviews, but my recent experience with Woo Endodontics was truly awesome. I suffer from extreme anxiety when it comes to the dentist, and I do not respond well to local anesthetic. I require several shots of local …MoreI genuinely never leave reviews, but my recent experience with Woo Endodontics was truly awesome. I suffer from extreme anxiety when it comes to the dentist, and I do not respond well to local anesthetic. I require several shots of local anesthetic, and it takes a long time for me to be completely numb. I was referred to Dr. Woo from Canton Family Dentistry for a root canal. Dr. Woo and his team took extreme care to make sure that I was calm, numb, and comfortable throughout the entire procedure. I am extremely thankful to Woo Endodontics for making a root canal somehow a pleasant experience. While I hope I do not have to visit again anytime soon, I would absolutely recommend this practice to anyone requiring a root canal! Dr. Woo and his staff are very professional and polite. I was very comfortable during the procedure and was finished in an hour. DR. Woo called me to check "how I felt" the same evening. Very impressed and thankful for his Endodontist practice. Dr. Woo did an amazing job and hands down one of the easiest dental procedures I 've had. Thanks for being so great at what you do! Dr. Woo's practice is one of a kind. From the first time you walk in you feel as though they have always known you. Everyone is very friendly and knowledgeable and you can tell that they truly care for their patients. Dr. Woo called to check on me the night of my procedure which is something I have never heard of before. This office should be the example because they set the bar as high as it can go. Thank you Dr. Woo and staff!